“Thank you so much for For Every Dog An Angel. 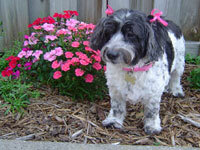 I read it this evening having recently lost Bailey, one of my two beloved forever dogs. It was very comforting and cathartic.Bailey was the friendliest dog in the world. He greeted everyone and everything with a smile and a wag of his tail. 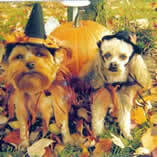 I adopted both of my forever dogs from the Kitsap Humane Society 10 1/2 years ago. 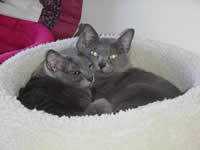 Both were strays and were destined to come into my life to teach me how to live joyously and to love unconditionally. “I recently received your book “For Every Dog An Angel” as a special gift to remember my beloved family pet Bennie that left us too soon. As I opened the pages the first thing I read was your tribute to my beloved dog and it brought tears to my eyes, but as I turned the pages I cried even more, because someone else completely understands the special bond people can have with animals. “Someone told me about your book For Every Dog An Angel shortly after our precious Rhett (a Westie) went to heaven, so I ordered it. “I was thinking something kinda funny/cute…that your publisher name could be Heartlighted Press instead of Lighthearted Press! Because while the books are very deep and always make me cry, they light up my heart. 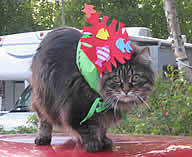 “I was introduced to For Every Cat an Angel, when I lost my darling Balinese Priscilla on Thanksgiving 2004. I couldn’t laugh and I couldn’t smile. What I did was cry, and frequently. One day at work I received a package from one of my dearest friends. Inside was a note that said, don’t read this at work, wait till you get home. I briefly looked at the book, immediately struck by the fanciful cover and title that made me, surprisingly, smile. When I read the book when I got home I cried and laughed at the same time. Priscilla was indeed my forever cat. And if you doubt there is a connection with our animal children, after they are gone, don’t! Every Christmas since I lost Priscilla, she returns, under the Christmas tree, where she makes one of the ornaments on the lowest branch, tinkle and move, letting me know she is there and making sure I am ok.
“I want you to know that I really enjoyed reading your book, “For Every Dog an Angel.” I sat down this past weekend and read it to my dog Boddie. He climbed up on the bed and curled up while I read it to him. In some sort of way I think he knew we were reading it in Tizzy’s honor. He has been a bit lost, just as I have been, without Tizzy around. “I cannot tell you how much I love the book Old Dog and the Christmas Wish. Christine Davis did an excellent job adding just the right story line to the Christmas season. I’ll never look at a Nativity scene the same way. “A friend sent me a copy of For Every Dog An Angel when my dog died. It was a comfort and expressed my feelings. 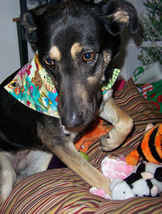 The author, Christine Davis, shows understanding, compassion and love of animals. 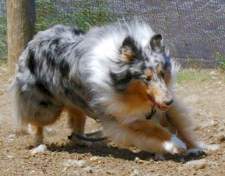 “I lost my Aussie suddenly and tragically on May 29,2006. A dear friend sent me your book. I cried when I saw it but couldn’t read it right away. This evening, I took the book to Gus. He is buried on the hill above the house. I read the entire book to him. I had already told Gus many of the same things you had written, and there were other things I had felt but couldn’t put into words. “When I received the book “For Every Dog An Angel” I cried and cried. 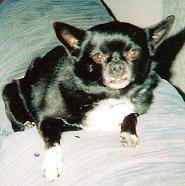 “I lost my BEST Forever Dog of all time, Buster Brown. 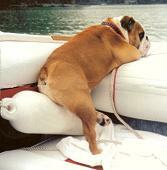 When a dog dies, we as a society do not have a protocol on how to support the person grieving their Forever Dog. 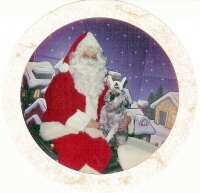 “For Every Dog an Angel” was sent to me by my best friend when our beloved Bichon, Snuggle, had to be put down. I felt as though you wrote the book especially for me. The term “Forever Dog” was such a perfect description of our Snuggle. Your words gave her life, our relationship and her passing such beautiful meaning. “My vet sent me your book two days after Cinnamon passed. I can’t tell you how comforting it was to read. “As Founder of the Halton/Peel Pet Loss Support Group, I responded to a request for a copy of “For Every Dog an Angel” by a bereaved pet owner attending our support group meeting. I also ordered a copy of “For Every Cat an Angel”. As a person who had lost a beloved cat (Smokey was the reason this group was founded), I started reading “For Every Cat an Angel” first. As I read Christine’s description of “forever cat”,my eyes filled with tears as I have always called Smokey my “forever cat”. It was as if Christine had read my mind, had taken those words and put them into such a beautiful and uplifting little book for everyone of all ages, who has ever loved a pet! “Christine Davis’ books, For Every Cat an Angel and For Every Dog an Angel are “must reads” for anyone who’s ever lost a special friend. In my work with Southern CA. 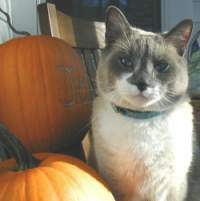 Siamese Rescue, I constantly meet people who are mourning the loss of a beloved cat and I always refer them to Christine’s site. 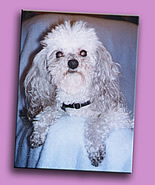 I read her book For Every Dog an Angel frequently to deal with the loss of my “soul dog”,Remi. Each time I do, I find comfort in its words. The people I refer to her site tell me that they find the same comfort. “I can’t say enough about how grateful I was to “stumble” across For Every Dog an Angel two years ago after the tragic drowning of my dog Freddy. The book was and continues to be such a huge comfort—just thinking about it as I write this brings tears. “When my forever kitty Eca died, a friend gave me “For Every Cat an Angel.” Brokenhearted, I read this magical little book again and again. “Finally a book that every human can relate to after the loss of a favorite furry friend. 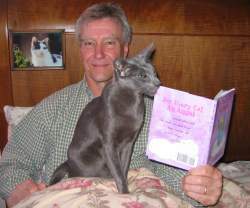 Christine’s book “For Every Cat An Angel” truly comforted me after the loss of my first cat, Jasmine. “I was given a copy of “For Every Dog and Angel” by a good friend of mine about two weeks after I lost the light of my life, Charlie Bear.I always referred to him as my doggy soul mate and after reading your book, I now refer to him as my forever dog. 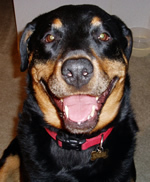 “Lest you think you have lost your friend forever, please read about your forever dog or cat. A wonderful comfort and an inspiration to those who are grieving a lost pet. Can you open your heart to another pet after loss? “I have read your book several times. Each time, my soul absorbs something new and feels renewed. 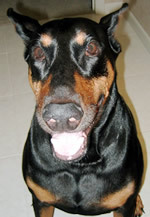 I remember one night… I was crying uncontrollably over the loss of my beautiful Petey whom I miss terribly. “It was just the “purfect” book in a very tough time and it helped and touched me more than you will ever know. The pictures, the words, the whole concept is as wonderful for a new cat owner as for a long time cat owner and their special companion. But to me, it was written for me and my Kenzo. In memory of my handsome boy, Kenzo. As a Cool resident and pet advocate plus an avid reader,I would like to tell you all about “For Every Dog An Angel” and “For Every Cat An Angel”. 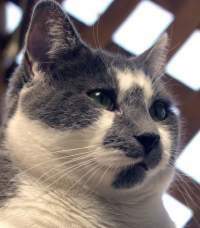 As for me I lean towards the Angel Kitty book because I am a Cool Cat and a columnist in a monthly local tabloid in and around Cool, CA. My Mom discovered the Angel Dog book while reading an article in Pets, A Part of the Family magazine. Mom has shared the Angel Dog book with friends and family as well as pet owners she has met who have lost a beloved dog or have adopted a new puppy. 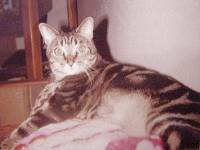 Once she wrote the Angel Cat book that became an even more popular and requested book as I have lots and lots of followers of my column and many kitty friends along with their human Moms and Dads. These books make you cry, give you comfort,make you smile, help you heal and are definitely inspiring. Don’t miss the opportunity of adding these beautiful books to your pet book collections. 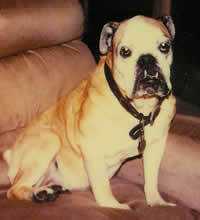 Several years ago I received a copy of “For Every Dog an Angel” in memory of Daphne, my 14 year old Bulldog who I adored. The book was so comforting in helping me deal with her loss even though I had to read it through many tears. As Secretary of Buddies thru Bullies (a Florida based English Bulldog rescue group) I thought the “Angel” book would be perfect to send to our members when they sadly had to say goodbye to one of their Bulldogs and needed help with their grief. In September of 1998 I contacted Chris and our first order was placed. Since then I have sent out over 180 “Angel” packages consisting of the”Angel” book, a copy of the Rainbow Bridge and a pet sympathy card and note. All the books are inscribed “In Loving Memory of _____from all your friends at Buddies thru Bullies”. The response has been overwhelming and I wish I could share all the special notes, cards, calls, etc. I have gotten from those who got the package telling me what the book meant to them in dealing with their loss. I know what they mean as I still can’t read it without tears – it is a very, very special book. “I just wanted to take a moment to thank you for your wonderful book. 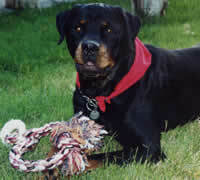 My forever dog “Thor” passed away one year ago today, July 3, 2003. I was gut wrenchingly heartbroken. My veterinarian knew how much my beloved friend meant to me and immediately sent your book to me and my husband. I wanted to tell you that it is a wonderful healing tool. “I just wanted to let you know that we are still reading the beautiful book by Christine Davis. “I love For Every Dog (Cat) an Angel and have had copies sent to various family members as well as my clients (I have a pet care business). Your web site has made it so easy to order a signed copy and have it delivered within a few days.